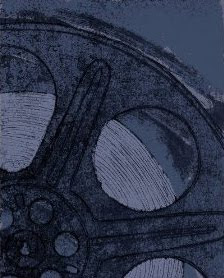 Snow White and the Seven Dwarfs is one of the best blu-ray movies of 2009, placing seventh on Sound & Vision magazine's list of 10 top movies in 2009. It is one of the most important Disney films in my mind and I do not think Disney could afford to transfer it poorly. Don't worry though, they did not let us down. Disney used the original 1937 negative to create the blu-ray and Sound and Vision said, "the movie completely surrounds you in music and song" and "the extras take you into the heart of Walt's studio." The blu-ray is well done PLUS Disney went further and offered us a choice of how we could add it to our movie collections. We can choose the two blu-ray disc and DVD combo shown above or we can choose any one of the special packages shown below. Personally, I've loving (but not yet owning) the wonderful Snow White and the Seven Dwarfs plush blu-ray gift set. 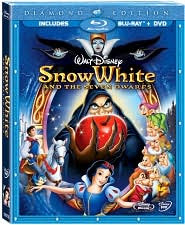 Order the Snow White and the Seven Dwarfs on Blu-ray movie from Amazon.